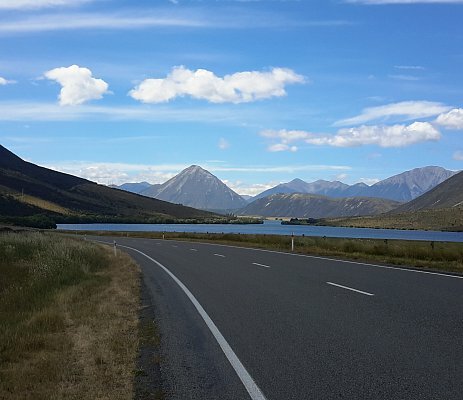 This is the middle section of the approximate 160km of gravel road that is the Acheron Road running through New Zealand's largest farm, the Molesworth Station. The ride offers good gravel roads with stunning views. Riding the Molesworth Station on a couple of Suzuki DL650 V Stroms from Auckland Motorbike Hire. This is the first section of the Acheron Road leaving Hanmer Springs in the South Island of New Zealand.